A new Citizen Science Program launches today, run in collaboration with WILDSEA Europe and the Seas, Oceans and Public Health in Europe project. The program is an opportunity to understand how marine ecotourism operators contribute to both healthy coastal living and ocean literacy. 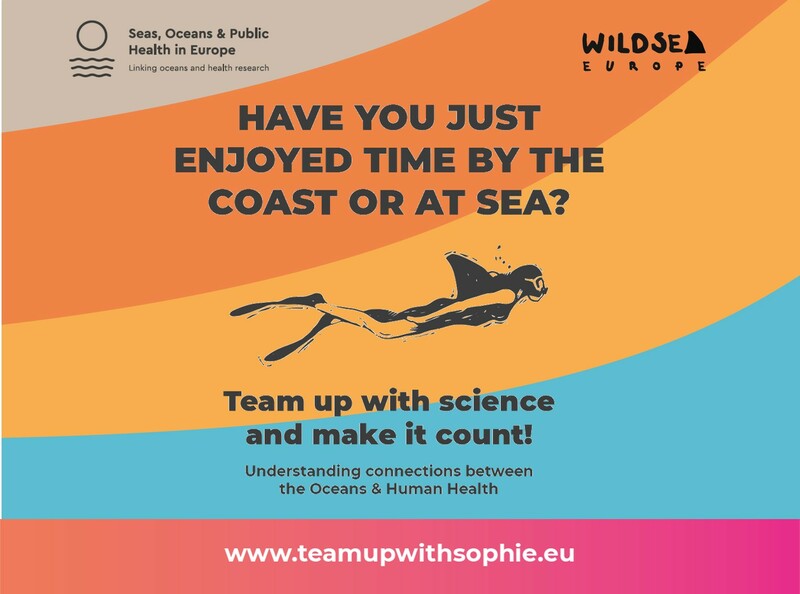 Volunteering members of the WILDSEA Europe network will take part in two innovative citizen science initiatives, and gear up for the peak season with information on the connections between Oceans & Human Health. Participating marine ecotourism operators will be encouraged to trigger engaging conversations with their customers, and will be recognized for championing actions in support of marine research and conservation. Registration is now open for these sessions. The program will be tailored to each location, but a general outline is available here. SOPHIE’s Citizen Science Program also seeks to raise awareness among the general public about the connections between human and ocean health, including marine ecosystems, habitats and species. Videos and fact sheets have been developed to support this and are available at teamupwithsophie.eu. If you’d like to learn more about this initiative, contact us at hello@wildsea.eu or sophie2020@exeter.ac.uk and we will reach out to you with additional information. SOPHIE expert group members recently gathered for their second workshop aiming to set the scope for a Strategic Research Agenda.